I first experienced the rather epic Five Guys when I was travelling around America last summer. In the chilly New York weather, we decided to made a lunch time pit stop into one of their many US branches. We were intrigued by their brash red and white branding - there was also posters hung in the windows shouting about how amazing their food was. Heading up to the counter, we ordered our burgers. Opting for a double beef patty with cheese and bacon (that's another great thing about Five Guys, you choose your burger). Then we decided to have a portion of fries each (not knowing how big the portion is) - if there is two of you one portion of fried will be more than enough. So, if you haven't yet grasped my love of Five Guys. Here's 5 reasons for you to go! 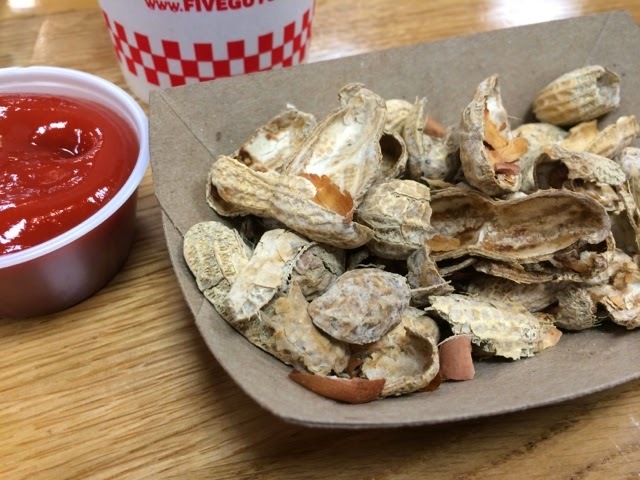 So weird for a burger place to offer free nuts - but hey! 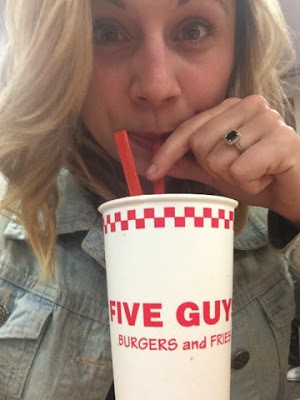 That's Five Guys for you and they are pretty tasty. Yes, I have previously mentioned how amazing the fries are here - but be warned this is just one pot. They often fill up the pot twice and put lose fries in your brown bag. From Annies Burger Shack to Byron Burger, I have been to a lot of burger specialists but Five Guys probably just tops it for me. Seriously, I can now express how brilliant their drinks machines are. Forgive me if you have seen this a million times in a restaurant near you, but I had never seen one of these Coke machines before. 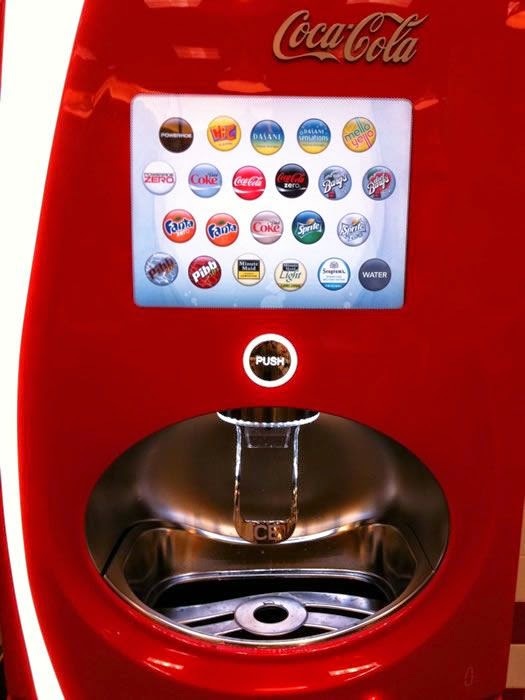 It has over 100 different flavours of Coke, Fanta, Sprite, Ice Tea... the list is endless. 5. It's now in England! 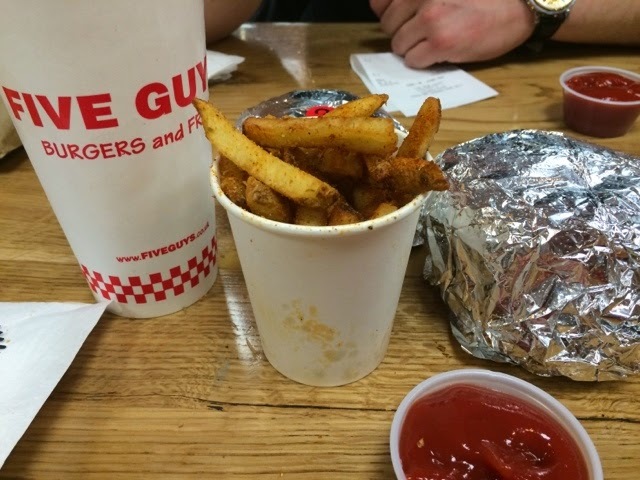 When I first found out that Five Guys was in Convent Garden in London, I was overwhelmed! When visiting London earlier this year, it was mine and my fiancées first port of call for lunch time - mainly to reminisce about our memories from our visit in NYC. 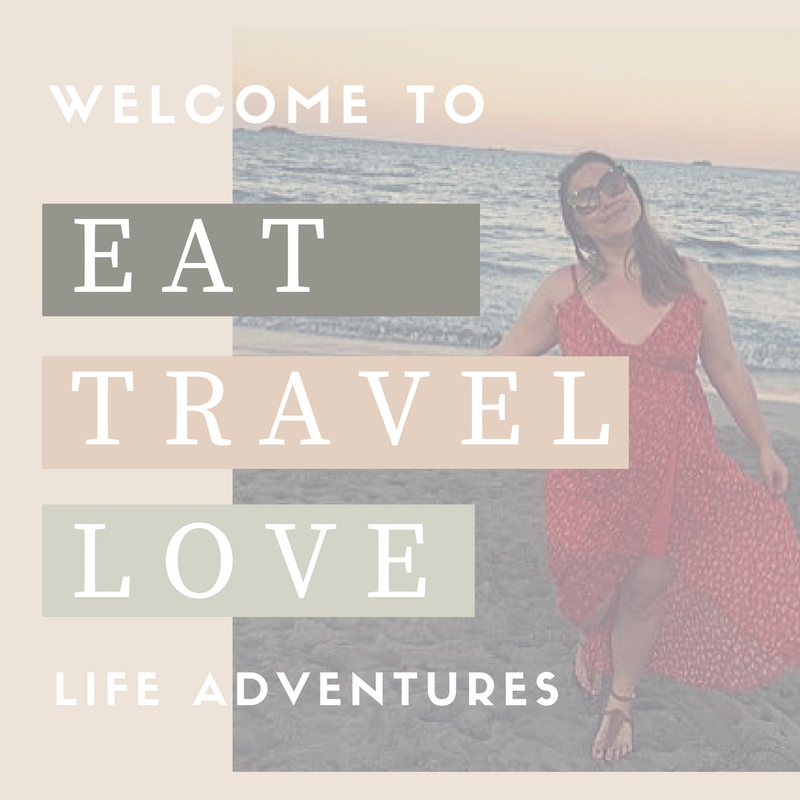 @EatTravelLove We are hoping to have something open in early 2015! 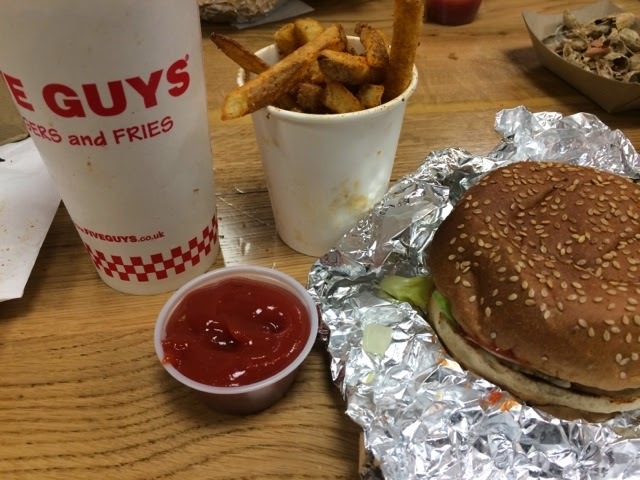 But now, me and Five Guys have been chatting (haha) and they are talking about opening one in my home town of Nottingham. If this happens in 2015, not only will I be an a bride-to-be. I'll be a sumo bride-to-be from all the Five Guys I'll be eating - happy days!